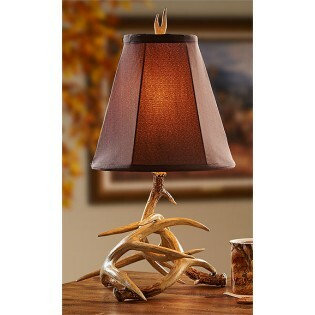 Put the spotlight on nature, day or night, with this tasteful lodge Petite Antler Table Lamp. 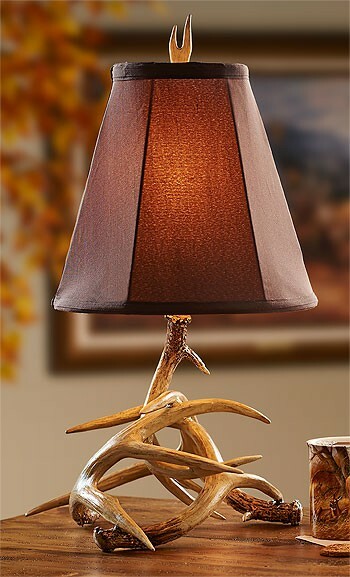 The richly colored, cocoa shade is a beautiful complement to the lodge look of this table lamp. Faux antlers are cold cast and hand-painted, accurately replicating the look of shed antlers. 16 "W x 23 "